Chicago plays a major role in what makes the Land of Lincoln so fascinating. 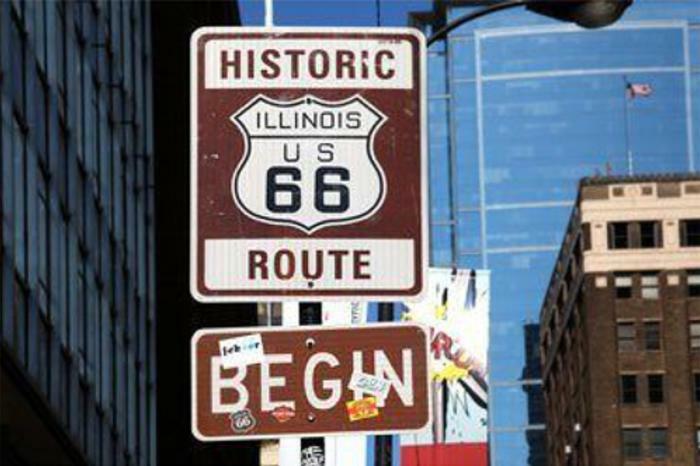 From standout architecture to iconic restaurants, the city has a boatload of opportunities to commemorate Illinois history. Here are just a few to take on your bicentennial tour. Start your bicentennial tour with a visit to The Rookery, the famous 19th-century skyscraper designed by star architects John Wellborn Root and Daniel Burnham. Erected in 1888 in the heart of the downtown financial district, and featuring 11 stories, soaring columns, a library, a gym and baths, the building was one of the era&apos;s most spectacular structures. In fact, much of Burnham&apos;s planning for the 1893 World&apos;s Fair was done from Burnham & Root&apos;s architectural office in the building. In 1905, Frank Lloyd Wright updated the lobby, adding bronze chandeliers and geometric designs to the signature staircase, and covering the iron columns with white marble. In 1970, The Rookery was placed on the National Register for Historic Places. Continue to Columbus Drive, where Buckingham Fountain (formally named the Clarence F. Buckingham Memorial Fountain) attracts locals and visitors with water displays and light shows. This Chicago landmark was constructed in 1927, and with water jets that shoot 150 feet into the air, it&apos;s one of the largest fountains of its kind in the world. The fountain represents Lake Michigan, and the four pairs of seahorses that adorn it symbolize the four states that border Lake Michigan&apos;s shoreline. 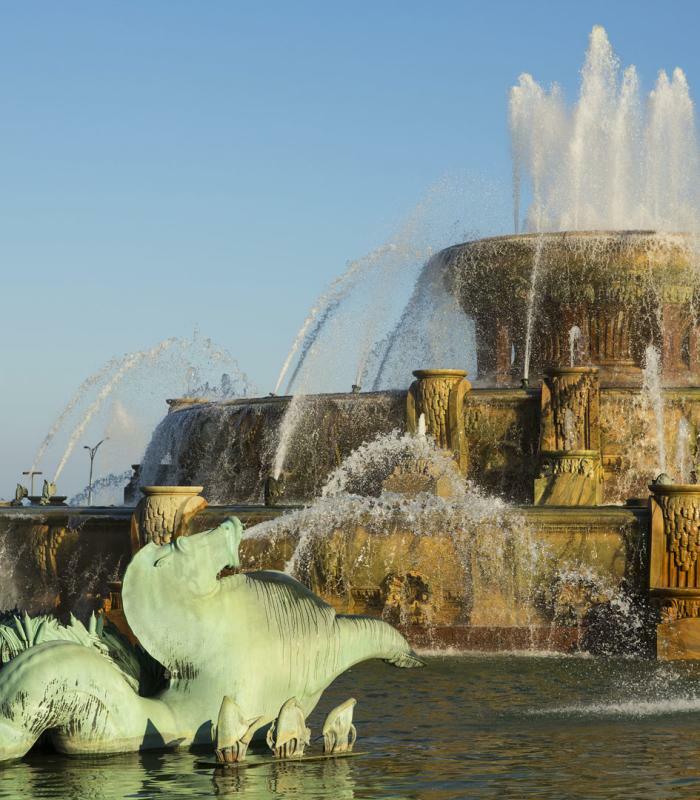 Operating from April to mid-October, 8 am, 11 pm daily, Buckingham Fountain is the ultimate Grant Park attraction. 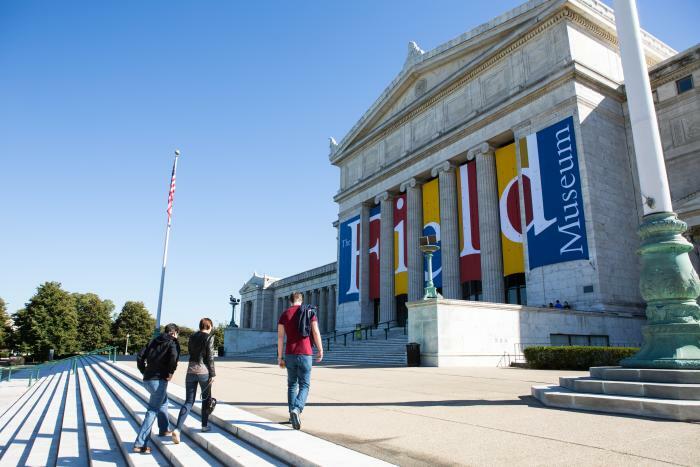 Heading south to the Museum Campus, the Field Museum of Natural History stands as a distinctive tribute to Illinois history. The museum originally was housed in the Palace of the Fine Arts Building of the World&apos;s Colombian Exposition of 1893, until being relocated to its current building on the museum campus. The Field includes many exhibits that were featured during the World&apos;s Fair, including Tiffany gems, pre-Colombian gold ornaments and 600 ethnological artifacts from Africa, the South Sea Islands and British Colombia. Stop in to take a look at one of the museum&apos;s newest residents, Titanosaur, in monumental Stanley Field Hall. With the Field&apos;s relocation, the Palace of the Fine Arts Building became home to the Museum of Science & Industry. 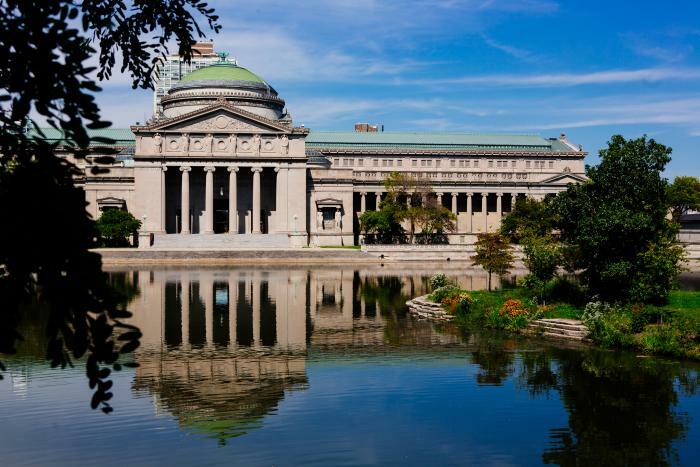 Opened in 1933, MSI therefore has the honor of being located within the only remaining building from the 1893 World&apos;s Columbian Exposition. Today, through interactive exhibits, daily live science experiences and tours, special events, and 3D screenings in the five-story, domed Omnimax, the fascinating worlds of science, technology, medicine and engineering come to life. Not only that, but this is the largest science museum in the Western Hemisphere. Find out more about Bicentennial programming and events for 2018.